These are very plush and thirsty towels. The Turkish cotton is just plain luxurious. Could be happier with the color match or value for my money. Experience modern, everyday luxury with Laural Home's 6 Piece Turkish Towel Set. The luxurious cotton that these spa- inspired towels are made of is extra thick and super plush. They provide the utmost softness, absorbency and durability. Dimensions 15.0 In. X 13.0 In. X 9.0 In. 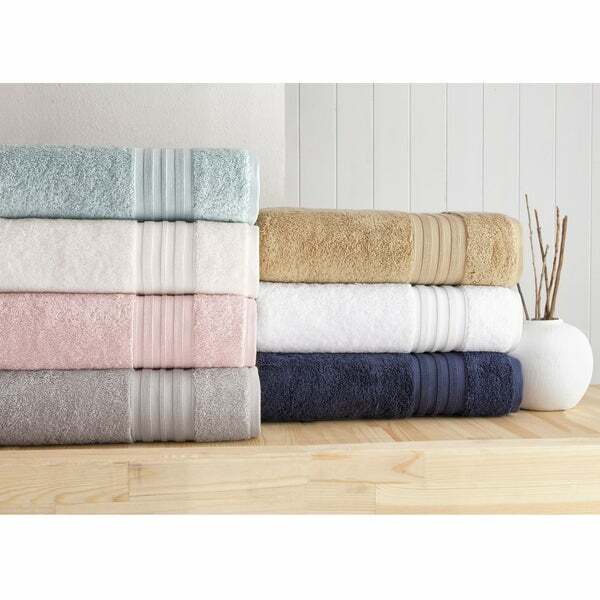 This luxurious six piece towel set is a treat! The 100% Turkish cotton makes a huge difference in fluff and absorption. Two of each bath, face and hand towel makes also a nice gift for weddings. Definitely a 5 star rating! I ordered the pink in these for my shabby chic bathroom. They are vert soft and plush.